We're making survey drafting easier and easier. Easily spot any mistakes and find out how to write the perfect survey. Any errors are highlighted in red, and you're told how to correct them before you set the survey live. In fact, we won't let you set a survey live that has red error messages, so you can be sure when you hit 'go' your survey is perfect! The question number will be highlighted in red, along with a red '! ', to indicate there is an error within that question. 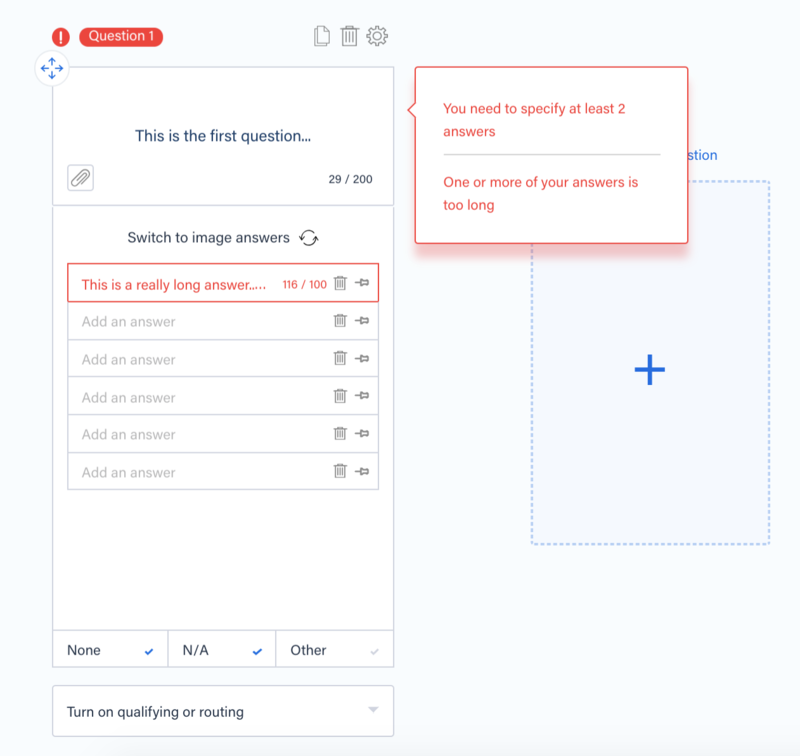 Hovering over the question number will bring up a pop-up box that explains the error. The part of the question that contains the error will also be outlined in red, so you know which bit to edit. If you need any more help understanding how to improve your surveys, start a chat with our team using the blue chat button. If you've corrected all the errors, and still need help setting your survey live, read this article next.